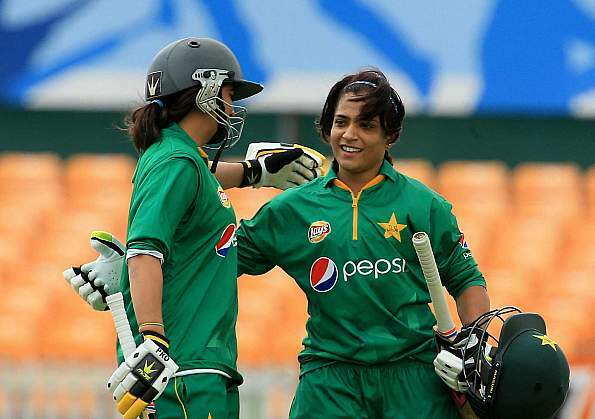 DUBAI: Pakistani bowler Diana Baig ensured that the good work by batters Sidra Amin and Nida Dar doesn’t go to waste as Pakistan women made a strong comeback in the three-match ODI series against West Indies women with a 34-run win in the second ODI played at the ICC Academy, Dubai on Saturday. 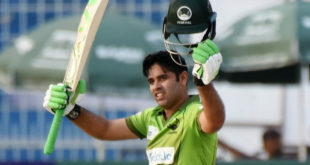 According to Pakistan Cricket Board (PCB) spokesman, Diana ripped through the West Indies top-order and returned figures of four for 34 in 10 overs as Pakistan bowlers delivered a commanding performance to ensure the defence of the 241-run target. Diana who got the vital breakthrough when she bowled West Indies mainstay Deandra Dottin (5) bowled with impeccable control in her spell, she was ably supported by the experienced campaigner Sana Mir who took three wickets while left-arm spinner Nashra Sandhu took two wickets for 38 runs in her 10 overs. Natasha McLean fought a lone battle for the West Indies with a blistering 76-ball 82 that included two sixes and eight fours, she added 62 for the last-wicket with Shamilia Connel who made 15 runs. Captain Stafanie Taylor scored 48 off 68 balls, her dismissal allowed Pakistan to take total control of the game and despite the last-wicket partnership, the West Indies were never really in the chase after losing six wickets for 105 runs inside the first 30 overs. 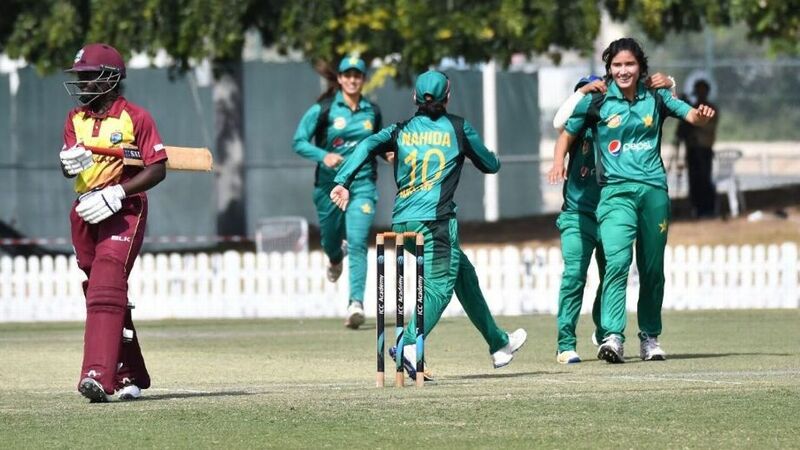 Earlier, an enterprising 102-run partnership between player of the match Sidra (96) and Nida (81) propelled Pakistan to their tally of 240 in 49.4 overs. Opener Sidra played some delightful shots in her 121-ball effort that included as many as 14 fours. Sidra who made her career best score was unlucky to miss out on her 100 as she was run out while attempting a quick single, four runs short of a well-deserved century. Nida kept the momentum going after Sidra’s departure as she posted the fourth half-century of her career. The Gujranwala born was in great form and maintained almost a run-a-ball strike rate in her 86-ball innings that included seven fours and two sixes. Sana Mir scored 21 off 30 balls with the help of two fours as Pakistan ended with what proved to be a match winning total. West Indies captain Taylor lamented the lack of partnerships in the chase, “We were not able to build any major partnerships which would have helped us chase down the target, but we hope to bounce back in the series decider on Monday.” The third and final match will be played at the same venue on Monday, 11 February.